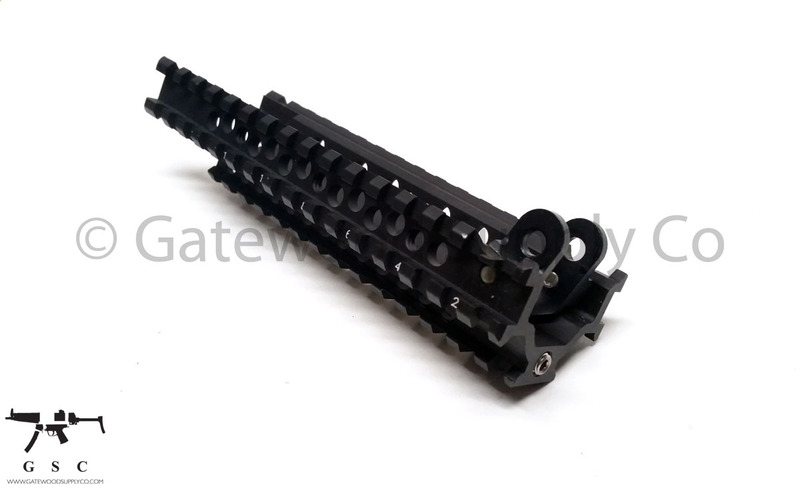 This listing is for a Surefire M63 HK MP5 / HK53 railed handguard. These units consist of black anodized aluminum rails with set screws to lock up solid. These parts also work with standard HK handguard push pins.